Warwick Hood (left) and his shipwright/draughtsman brother, Peter, check the lines of a sloop. 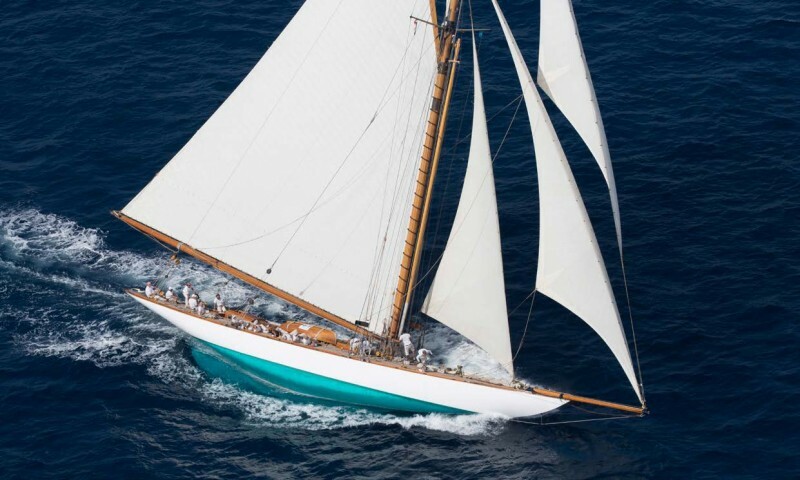 Naval architect Warwick Hood was perhaps best known as the designer of Dame Pattie, the 12-metre yacht that challenged for the America’s Cup in 1967 against Intrepid, and of the popular Hood 20 and 23 (1966-67) yachts, on which generations of Australians learned to sail. Hundreds of Hood 20s and 23s still sail Australian waterways, many of them continuing to perform well in competition. 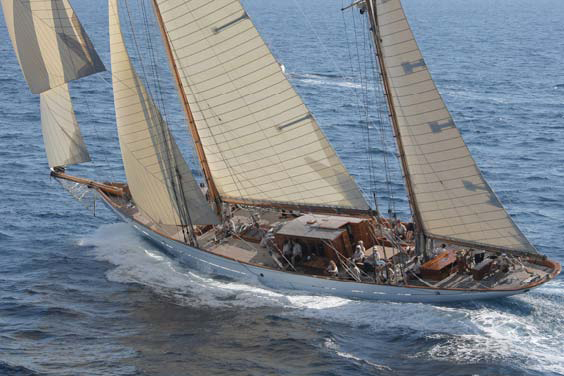 Dame Pattie (now in private hands and sailing the Mediterranean), named after Lady Menzies, wife of prime minister Sir Robert Menzies, was the first Australian 12-metre to be designed and built under the changed NYYC rules requiring nation-of-challenge origin, showcasing the skills and technology of Australia at that time. 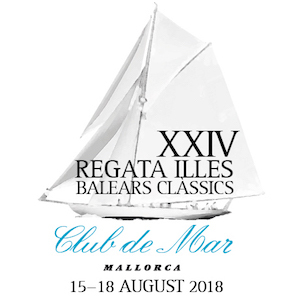 The contrast in scale of Dame Pattie and the Hood 23 showed that Hood was as at home in the grand world of international yachting as he was in the world of the weekend sailor. Warwick Hood was born on July 7, 1932 and grew up in Wentworthville, attending Parramatta High School. He attempted to run away to sea before he finished school but his father suggested he study naval architecture instead. And so a career was born. He gained his diploma in naval architecture at Sydney Technical College in 1954 and trained on Cockatoo Island, in the days when Sydney enjoyed a true working harbour. 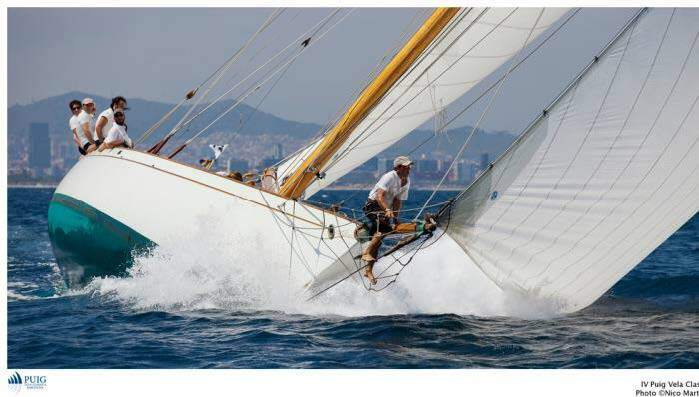 He worked for Alan Payne and was on the design team for Gretel 1 – 1962 America’s Cup contender. Payne was a mentor to Hood as well, and they remained great friends. 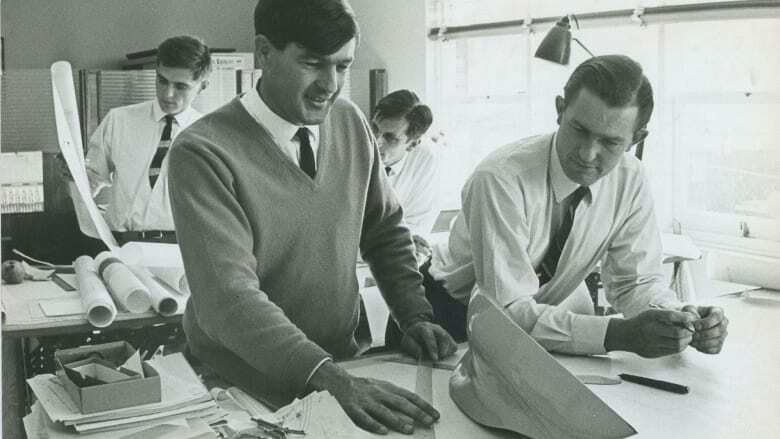 In 1963, Hood set up his own naval architecture design consultancy based in Crows Nest. John Bertrand AM, later skipper of Australia II, started his naval architecture career working for Warwick. 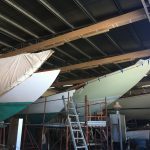 Over his long career, Hood designed a wide range of vessels from commercial working and trading craft to paddle-steamers (the Emmylou, still operating out of Echuca on the Murray River), to stylish yachts, including the well-known Nina, Styx and Mary Blair. 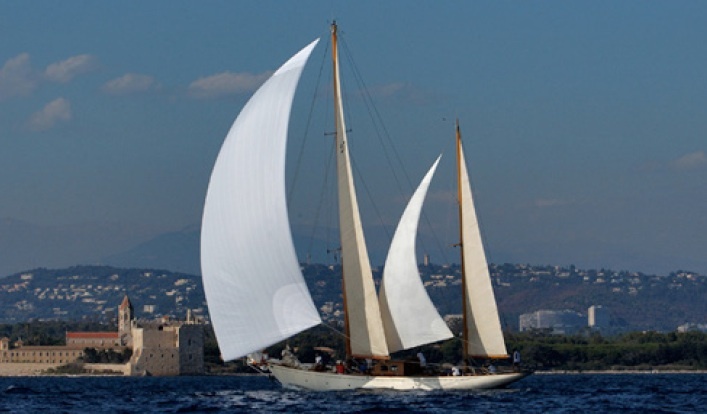 These and others look beautiful on the water, whether bobbing at a buoy or heeling to leeward. He worked on many projects for the World and Asian Development Banks in Papua New Guinea, Fiji, Tonga, Tuvalu, Bangladesh and Guyana, designing commercial vessels for countries with poor road infrastructure. He got the same satisfaction designing these – fishing trawlers, cargo and other work-boats, tugs, barges and ferries – as he did from more glamorous commissions. Also notable is the assistance Hood provided the famous adventurer Francis Chichester in 1966 when Gipsy Moth IV limped into Sydney at the half-way point of Chichester’s solo round-the-world voyage. 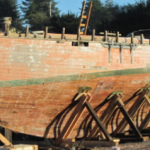 Hood reconfigured the keel and some of the rigging in order to stop the craft broaching and to improve its directional stability. Hood was made an Officer of the Order of Australia (AO) in 1994 for service to the maritime industry. His most recent design was the Hood 28 ML. A prototype of this 28-foot motor launch was built in Myanmar – teak cabin and decking on a fibreglass hull – and shown in Sydney a few years ago but has not gone into production. On a number of occasions in later life he was called as an expert witness in legal cases, including the windsurfer patent protection case. Hood had been retired for some years, but was always drawing and designing, including a Hood 30 and a Brisbane Water yacht. He was largely confined to a wheelchair for the last three years of his life following knee and hip problems. He was a warm, intelligent man, who extracted much joy from life and took pleasure in sharing this joy with those he loved. He died suddenly after lunch, glass of red in hand, on the day before his 83rd birthday – a fitting end to a great life. Above Obituary courtesy of The Sydney Morning Herald.